Apologies for not posting anything yesterday as I am very tired and sleepy once I ended my day. 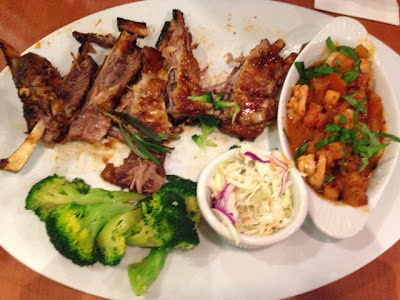 Yesterday we haf a very good and delicious dinner in Tony Romas. 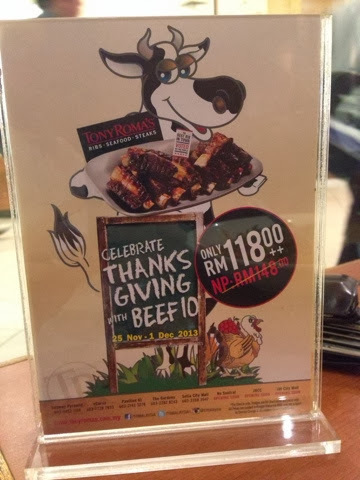 It seems that Tony Romas is offering something special in conjunction with Christmas that is coming around the corner. 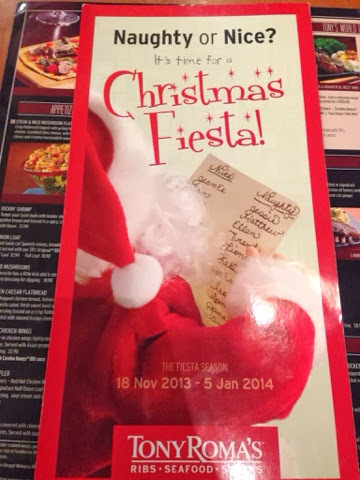 Christmas Fiesta promotion. 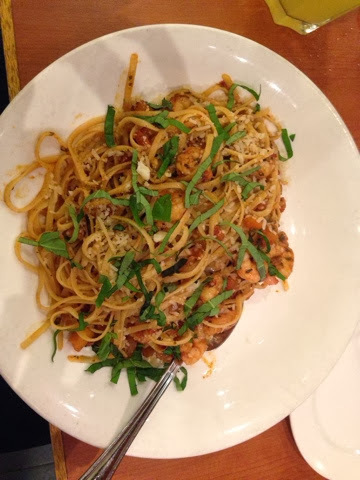 I did not bother to know it as I wanted to enjoy the meal that I know already. Lamb Rack Tony Romas. The meat is perfectly cook. The pasta is just great with the sweatness of the shrimp and the aroma of the menu itself! What more can I say, these food are very delicious and nice. It completes my day!